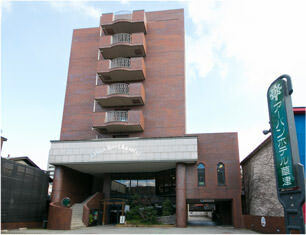 Access | Urban Hotel Kusatsu | Just 3 minutes on foot from the East Exit of JR Kusatsu Station. Urban Hotel Kusatsu｜Just 3 minutes on foot from the East Exit of JR Kusatsu Station. The Urban Hotel Kusatsu is about 21 minutes by train from Kyoto. Japan like Tokyo, Hakone, Mt. Fuji, Nagoya and Osaka. Click the [+][-] buttons in the lower left to zoom in/out. Click and hold to drag the map. Turn left passed the turnstiles to the East Exit and exit the station. Head towards the LTY932 shopping center on the right. Turn right at the corner where found the Lotteria fast-food restaurant. Go straight passed the Sakaemachi shopping arcade. Keep going straight with Tower 111 on the left. The hotel is straight ahead on the left side of the street. 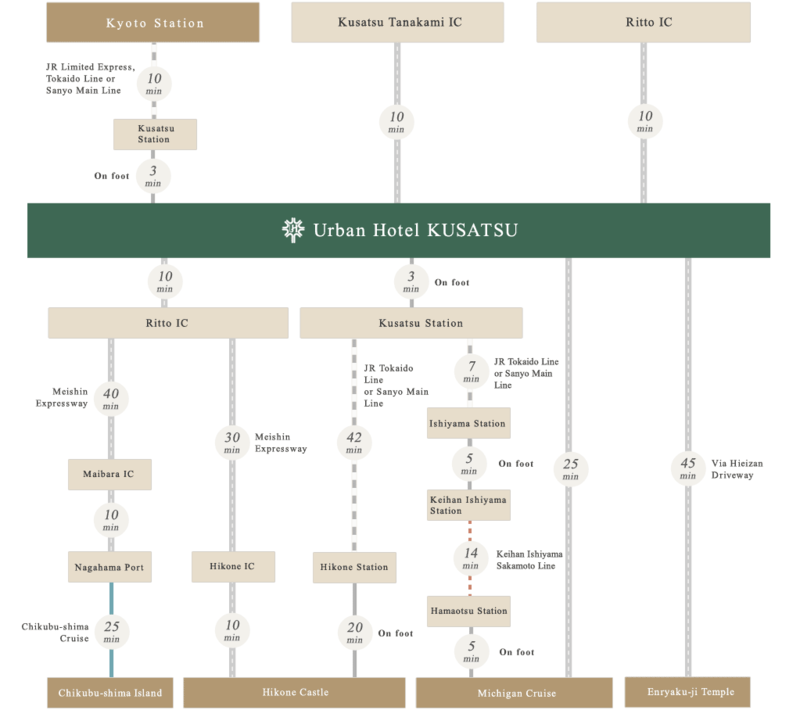 Welcome to the Urban Hotel Kusatsu! 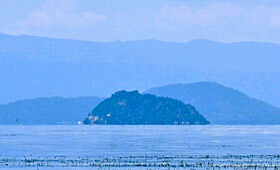 Found in the northern end of Lake Biwa, this small island is home to Hogon-ji Temple. 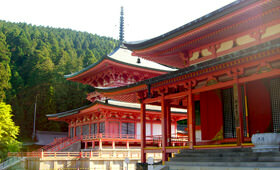 It is popular as a spiritually enlightening place. Built by the Ii Clan, this castle is surrounded by moats and the castle town that retains histric atmosphere. One of the three most prominent temples on the eastern side of Lake Biwa, the temple is a beautiful place to enjoy the autumnal foliage in fall. The cluster of Buddhist temples on Mt. 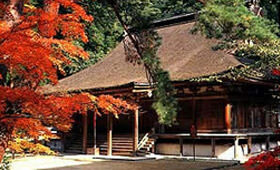 Hiei that has a history going back to the Heian period (over 1200 years). 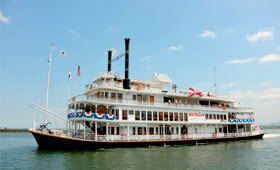 This ship offers views of Lake Biwa and the surrounding shores, which is very gracious. 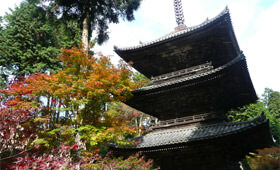 One of the three most prominent temples on the southern side of Lake Biwa, the main hall and 3-tier pagoda are designated National Treasures of Japan.